The digital transformation is one of the greatest challenges of companies today. Renate Pilz, Managing Director of Pilz GmbH & Co. KG, has recognised the importance of digitalisation at an early stage and led the company into the digital age. That was why she was awarded the accolade of "Entrepreneur Of The Year 2017" in the German Historical Museum in Berlin this year. The jury explained their decision as follows: "Renate Pilz, Chair of the Board of Pilz GmbH & Co. KG, took a glass-blowing business established in 1948 and turned it into a leading company in the automation sector. Each year Pilz spends almost 20 per cent of turnover on research and development. The trend towards Industrie 4.0 is increasing demand for its automation solutions. In 2016 the company achieved a turnover of more than 300 million Euro with over 2,200 staff." Renate Pilz was very touched by the honour: "I have always taken responsibility and have tried to make the right decisions for both the company and staff", she said, setting our her values and therefore her formula for success. And let this remain so, because: "We simply enjoy technology", she added. 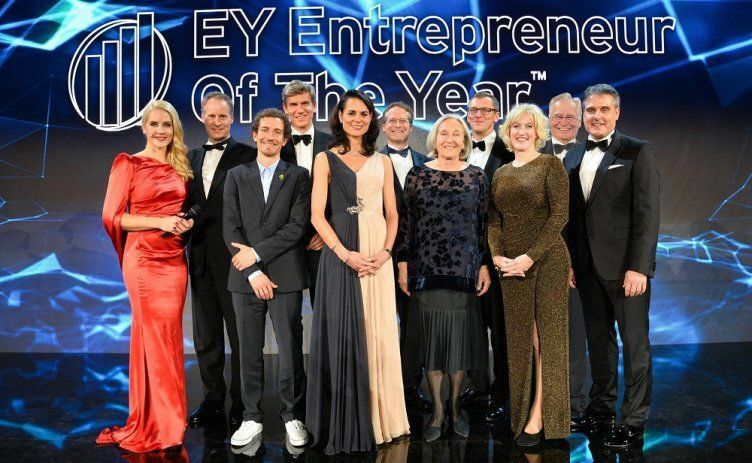 On the competition "EY Entrepreneur Of The Year"
The competition "Entrepreneur Of The Year" of the auditing and consultancy company EY is among the most renowned accolades for entrepreneurs. An independent jury chooses the winners in the categories industry, services and IT, consumer goods and trade, digital transformation and start-ups. Assessment criteria are growth, future potential, innovative strength, leadership and social responsibility. EY organises the business award worldwide in over 60 countries.